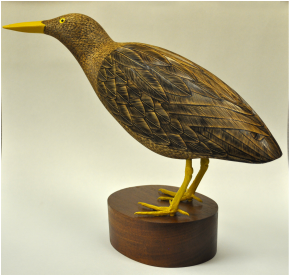 Artist Statement: Forty years ago I discovered that I had a talent for carving wood. Since than I have experimented with different kinds of wood as well as different methods of finishing the wood. I like the grain of the woods along with its durability. It gives me great satisfaction when others can enjoy the fruits of my labor.